Rankings are based on where we feel each athlete projects at the next level. Specific criteria goes into where we feel each kid will end up. The list will be adjusted accordingly based on offers or any other relevant info we receive in the off season. 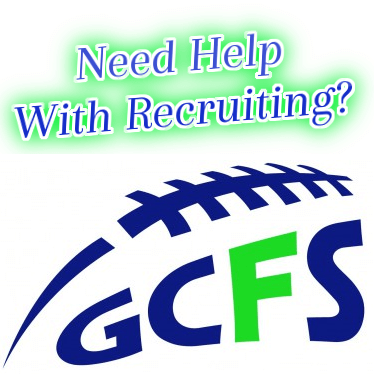 Different things that are looked at include ..(Offers, Testing, All state/ All League recognition, NFL or D1 genes, Size & Speed, Camp performances, GPA, and a variety of other intangibles that will all play a role in where the athlete ends up ranked. Obviously nothing is perfect but we feel that is by far and away the most credible list you are going to find. Congrats to all of the individuals that made the initial Oregon Top 180 for 2013′. We will be contacting everyone with invites to select camps and combines throughout the Northwest. The NEI/Barton Tour will be something the likes we have never seen before, giving us a chance to see all of the top kids in the region compete against one another. We have most people’s information but feel free to send us any additional contact info we would need. 10. Bryson Sullivan- Aloha 6-4 245 TE/DL…Athletic ability is incredible for a big man, Can go either way at the D1 Level, 3 Tds- 5 sacks as a soph. Breakout game against Grant before injury being named player of the week. Currently NEI’s #1 ranked TE and one of the best DE’s in the state. Army All American Combine Nominee 12′..Recent knee injury will keep him out of commission until next season. 29. Richard Ramsey- Jefferson 5-9 180 RB…Tough year to start, but broken out lately with multiple Td games..Unbelievable athlete, transfer from S.Eugene..2nd team all league as a sophomore. Huge addition for Jeff..
34. Mike Ralston- Jesuit 6-6 240 WR…Basketball player that could end up being a legit D1 receiver, going to be very hard for DB’s to defend, raw talent..Playing mostly defense. 35. Noah Peterson- Lake Oswego 6-3 270.. Key component to Lake O line that is playing as well as anyone in the state. He is able to move very well for a big man and will just continue to improve. One of the top O lineman in the state..
38. Justin Calo- Southridge 6-0 165..This kid is fun to watch and becoming one of the top receivers in the state..2011 reg season stats’ 25 rec 627 yds, 6 Tds.. Averaging 25.1 yards per catch, one of the Metro league leaders in multiple categories..
43. Bruce Jones Jr.- Sunset 5-11 175t RB/DB…young for the grade, transfer from Aloha that would start at most 6A Schools, extremely athletic..Playing more and more and is the future of the Sunset program. 49. Fergus Frederickson- Central Catholic 6-3 240 DL..Will be playing on one of the best defense’s in the region in Central Catholic, 3.6 tackles per game, potential is there..Had an outstanding playoff run dominating some opponents. 54. David Henry- Oakland 5-11 215 RB/MLB.. 20.5 Tpg, 1404 Yds, 23 Tds, 14.33 Ypc, 14 Sacks, Some of the most ridiculous stats we have ever seen even if it is 2a; Who makes over 20 tackles a game? Currently 4th in the entire country with 205 total tackles..(Max Preps)..
64. Sam Curtius- S.Medford 6-5 220 DE/OL…One of the state leaders in sacks, all league athlete that earned all state underclassmen honors (NEI). Big body that has all the potential in the world. 65. Hayden Ficek- South Salem 6-4 265 OL/DL..Done very well at camps and looks to have frame to add additional size…1st team all league OL with a huge upside. 75. Mitch Reese- Churchill 6-3 205 QB.. 2103 Passing yds, 22 Tds, 233.7 passing yds per game, Good sized kid that has potential moving forward. 82. Chad Back- Mt View 6-3 230 DL/OL..1st team all league lineman that helped lead his team to a class 5a State Title, has natural size and strength and can move. 89. Ryan Brown 6-6 260 OL Jesuit..Injured all of his junior season, but did an outstanding job earlier in HS career when healthy. Very mobile kid and you can’t teach 6-6 so his potential is through the roof. Will be part of one of the top offensive lines in the country next year with (Rich, Kirkland, Baldocchi, Moon). Look for a big off season from Brown. 96. Kyle Peterson LO- Lake Oswego 6-2 215 C..2nd Team all league C that was one of the most underrated players in Oregon. Did an absolutely phenomenal job as an underclassmen leading the Lake O line. 108. Charles Riga 6-1 205 LB Madison 547 Rush yds, 4.7 ypc, 3 Tds; good sized kid that earned all league honors on both sides of the ball. 110. John Emerald- Springfield 6-0 180 DB/WR..2nd Team all league back, one of the best athletes in the Midwestern conf, 2011: 10 rec, 243 yds, 2 Tds, 5 games, One of the best athletes in conference. 115. Buddy Webb- Jesuit 5-10 160 DB/ATH..Incredible athlete that tests very well and will be happy to show off his dunking abilities. Tough game against LO, but overall a super talented kid. 116. Dakota Kemper- Banks 5-10 185 RB..Good young talent that earned first team all league honors as a sophomore..
120. Braeden Emrick- South Eugene 6-0 200 LB/RB..Good football player in a real tough situation playing for the Axemen, brutal at South. 123. Duke DeGaetano- Bend 5-10 175 RB/DB 903 All Purpose Yds, 10 Tds/ 6.4 Tpg..1st team all league RB, Did an outstanding job on both sides of the ball. 125. Mark Holenstein- QB/P 6-1 180 http://www.hudl.com/athlete/80295/mark-holenstein – Conference Player of the Year that lead his team to a state title, also has an outstanding leg. 132. Ryan Comstock-Oakland 5-10 175 RB/DB.. Mind boggling numbers 27 Tds, 3 Ints, 1551 yards,14.6 tackles per game, 8 pass deflections.. Hard to gage anyone at 2a level, but he is dominant. 133. Kyle Henderson-Westview 6-3 220 DE.. 3rd team all league kid that has the body to play at the next level. Look for the Wildcats to get him the ball on offense as well in 12′. 137. Zach Salton- Tualatin 6-0 180 RB..Multiple Tds late in the year and in the playoffs. Look for him to play significant role next year with Brady Watts gone. 154. Mat Merrik- Wilsonville 5-11 195 SS- 5.1 tackles per game, will play a big role in 2012′. 157. Conner Olson- Tigard 6-2 185 TE/LB..Did a good job teaming with sophomore Biglow at Tight End, honorable mention all league132.